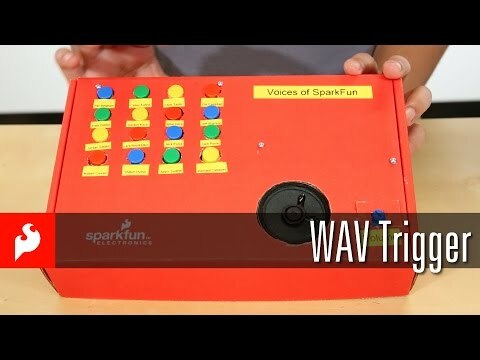 The WAV Trigger is a unique high-fidelity polyphonic audio player with surprising capabilities. Supporting up to 2048 uncompressed 16-bit, 44.1kHz wav files – the same quality as an audio CD – the WAV Trigger can play and mix up to 14 stereo tracks simultaneously and independently, with very low latency. Tracks can be controlled via 16 programmable trigger inputs, or by using a native serial control protocol or even MIDI..